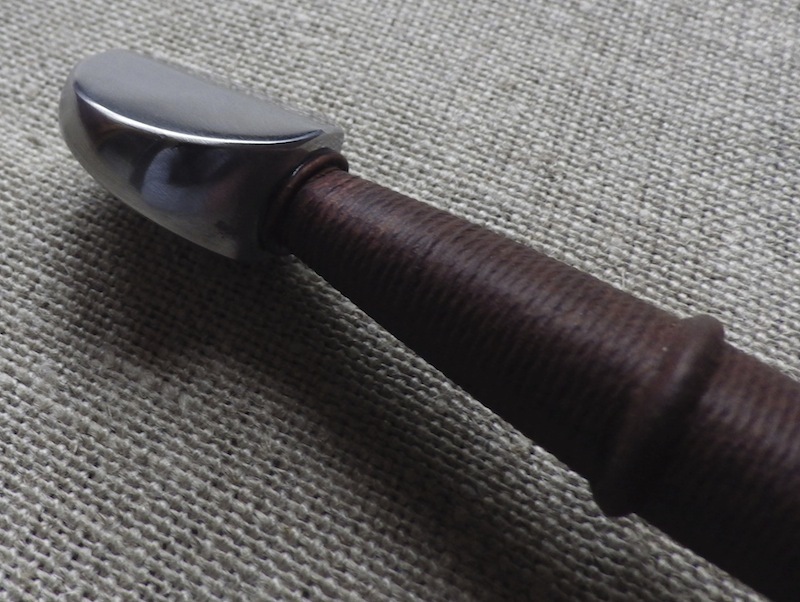 I another thread I posted up a picture of a dagger excavated from Castillon. 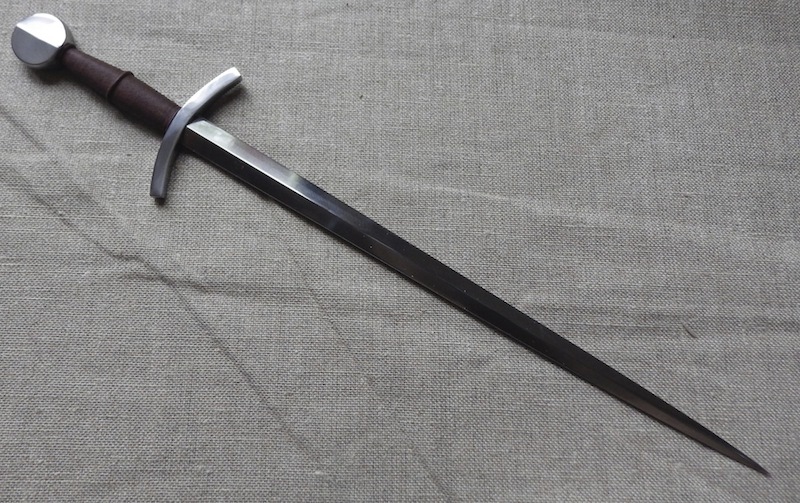 This dagger is particularly notable because of its blade length at 18"/450mm and also because of the massive section at the hilt of 1"x 5/8" or 25mmx15mm. I love the severe austerity of the piece and its single minded design for purpose and I hope you all like to too. The only photo I had is this one and so there were some holes in my knowledge, but thanks to Peter Jonhsson for helping out with some aspects. That is absolutely fantastic. What a great example, too. I'm glad to see it made again. 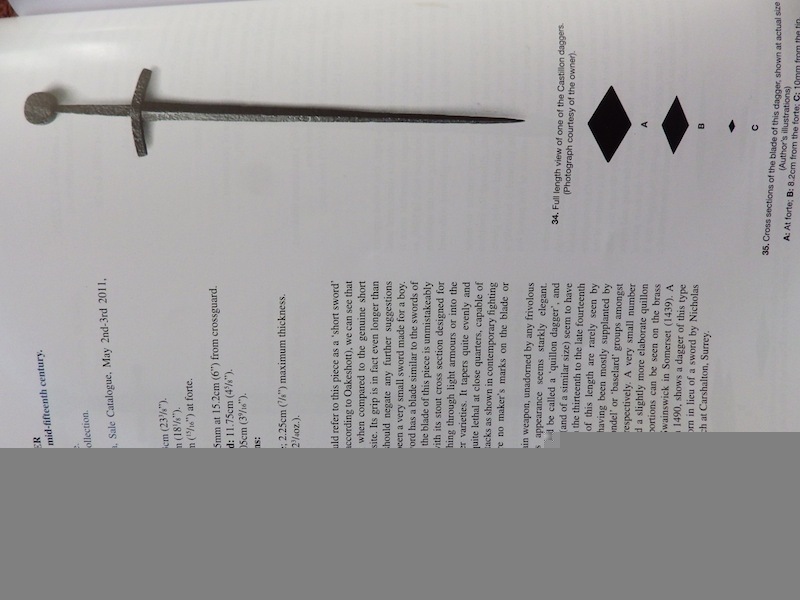 That's more like an ice pick than a dagger/short sword. Is that a bespoke piece or is it available? I love that! Fantastic design. Beautifully done. I find that piece very interesting. 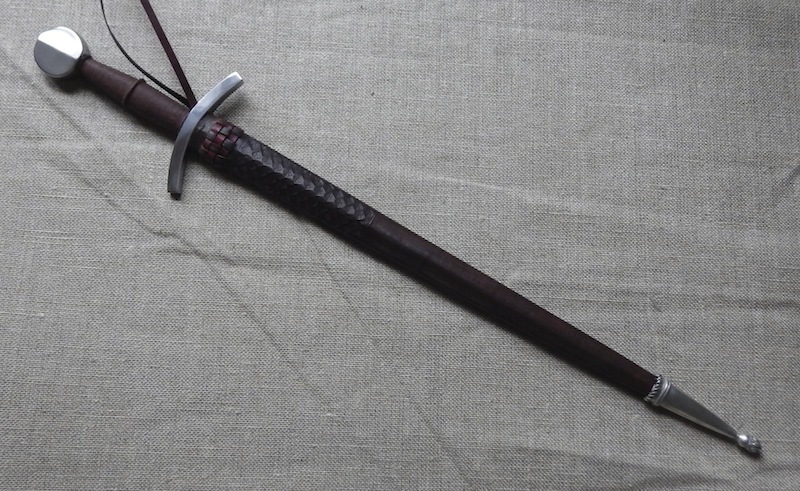 That incredibly thick, square blade makes it an alternative to a rondel dagger? I forgot to inquire about the date of this example. I know I should know this. I would guess late 14th. 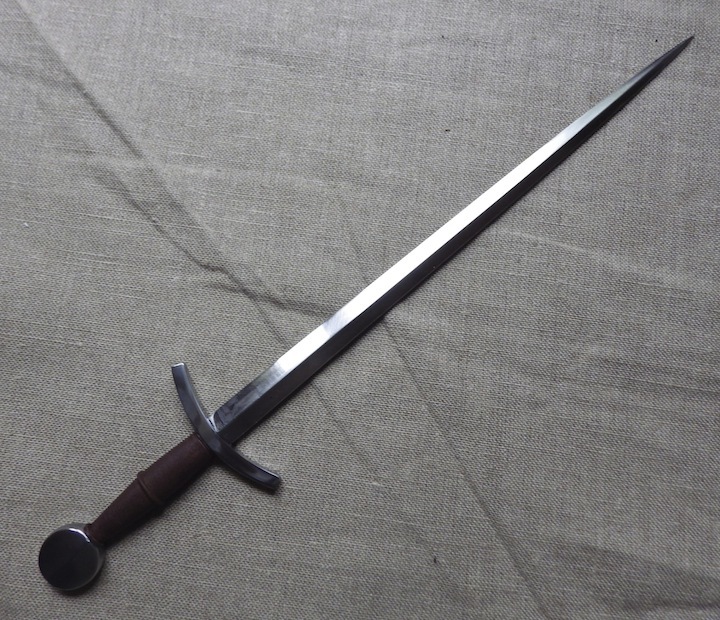 c.
It would be an alternative to any rondel dagger with a thick square blade, or a ballock dagger with similar blade. 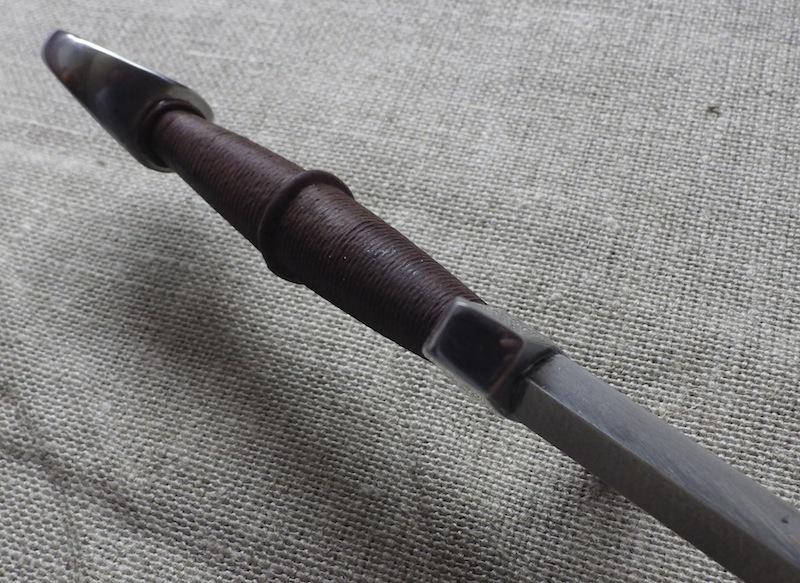 Rondel daggers, ballock daggers, and quillon daggers can all have a lot of variety in the blade, from single-edged to nearly square. The cut-off text on the page in one of Tod's pics says mid 15th century. If this is from the Castillon hoard, that would put it around the date of that battle (1453). It could date a little earlier, though. I just love this. It's right up my alley. 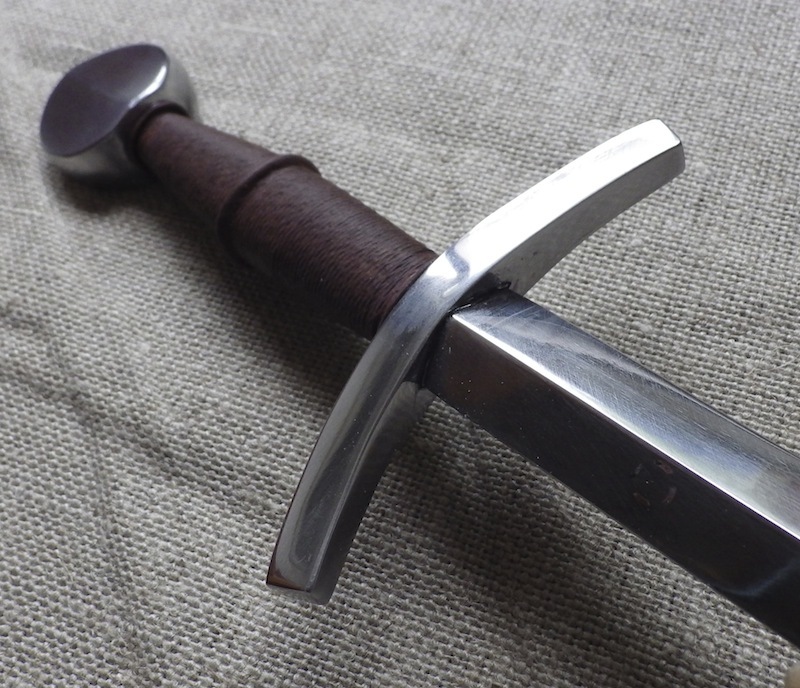 The dagger is certainly substantial enough to act as a rondel; it really is a very formidable piece and as Chad pointed out is recovered from Castillon - 1453. If I remember correctly the dating was given as 1400-1450. It was a commission piece. Now I must say "Wow! Now THAT'S a Dagger!" Somehow I have never realized what kind of crowbars some of them - like this one - have been! In spite of its simple (and of course well executed) looks, a VERY impressive weapon, Sir!